Worst part: His topsy-turvy direction. Many A-list actors, After working on multiple high-demand projects with acclaimed directors, follow a ‘monkey see, monkey do’ approach. This year, several good and bad actor/director projects came to fruition. African-American comedian Chris Rock struck gold with heart-warmer Top Five. However, Hollywood heart-throb George Clooney fumbled The Monuments Men‘s intriguing premise. This Oscar season pits Angelina Jolie’s World War II tear-jerker Unbroken against Russell Crowe’s directorial début The Water Diviner. Sorry Rusty, in this instance, Ange has the edge. I’m going stifle this review by outlining my intentions and opinion. I believe the Australian and New Zealand Army Corps’ WWI efforts were valiant and prosperous. The Battle of Gallipoli, soon to celebrate its 100th anniversary, is a defining point in our history. This is where I separate the socio-political talk from my Water Diviner critique. indeed, it’s a heartfelt love letter to our island nation. The story is as ‘true-blue’ as a cockatoo riding an emu riding a kangaroo. It kicks off in 1916, as the Turkish Army – led by Major Hasan (Yilmaz Erdogan) and Jemal (Cem Yilmaz) – witnesses the ANZACs retreating from the Gallipoli Peninsula via the Dardanelles. It then jumps to 1919, and farmer Joshua Connor (Crowe) finds water on his expansive estate. However, he and wife Eliza (Jacqueline McKenzie) struggle to overcome their three sons’ demise. Eliza’s depression and eventual suicide kickstart Connor’s mission to find his children’s war-torn graves. Before his real quest begins, he inadvertently comes across petulant hotel owner Omer (Steve Bastoni), his sister-in-law Ayshe (Olga Kurylenko), and her son Orhan (Dylan Georgiades). 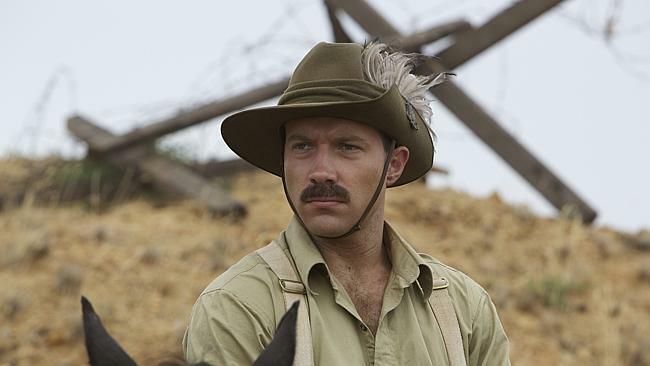 His journey takes him to Gallipoli’s accursed battleground, watched over by Lt. Col. Cyril Hughes (Jai Courtney) and his forces. Connor believes, against all odds, his eldest son, Arthur (Ryan Corr), may still be alive. It’s been a critically successful year for period pieces, the Australian film industry, and grizzled protagonists. Crowe, in bringing these great tastes together, creates a derivative and flavourless stew. Certainly, his ambition, intentions, and ideas are exceedingly commendable. More so, his cast and crew choices, determination, and buying power work wonders here. Though his heart is in the right place, he can’t wrap his head around the material. Sadly, The Water Diviner‘s many issues stem from his directorial inexperience. Crowe, handing himself complete control in front of and behind the camera, carries that vanity project aura. His reach exceeds his grasp; causing a rift between his larger-than-life process and tight budget. Certain sequences needed several thousands more to appeal cinematically. Though supported by several companies, from Universal and Warner Bros. Pictures to Channel 7, the movie’s made-for-TV vibe is obvious and inexcusable. It tussles between misplaced vanity and student art-house vibes for extended periods, with certain sequences wholly missing the point. For every heart-wrenching scene or monologue, a cheap-looking and cumbersome set piece bowls over it. His directorial flourishes and shooting style appear inappropriate and uninspired. Lacking Ben Affleck and Mel Gibson’s directorial prowess, his glorious sheen unceremoniously punchers the final product. C’mon Rusty, handing yourself one of the world’s most beautiful women is a plain obvious manoeuvre! “I measure man by how much he loves his children, not what the world has done to them.” (Ayshe (Olga Kurylenko), The Water Diviner). The Water Diviner is a soulless concoction of Oscar-bait touches and peculiar decisions. In fairness, The movie’s greatest flaws stem from Andrews Anastasios and Knight’s tonally inconsistent screenplay. The central conceit, a regular man searching for answers whilst righting his wrongs, is a fascinating conceit…one we’ve seen in several blockbusters. Connor’s exasperating and awe-inspiring journey through decrepit war zones, thanks to the Crowe’s vision, excels throughout. However, the movie veers into harlequin romance territory for unending periods. Connor and Ayshe’s burgeoning affections turn this war-drama into the English Patient lite. The Istanbul sequences, depicting well-known Aussies playing Turkish caricatures, never convince. Isabel Lucas and Megan Gale immediately distract from the its silky flow. The farm life, father-son bond, and marriage aspects remain underdeveloped. 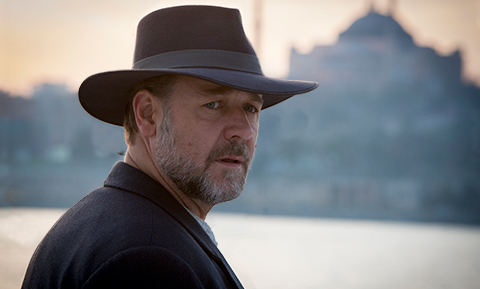 Crowe, thankfully, faithfully develops every Australian and Turkish character. The opening scene, despite the shoddy CGI and single-block-of-land scope, depicts the Turkish characters successfully defending their country. From there, the movie efficiently discusses both sides’ ideals. At times, Crowe’s patriotic side – the ‘Strayan characters saying: “righto” and “mate” profusely; Connor teaching the Turkish characters how to play cricket; the British characters look down on him with snarly glee – shines through. The Water Diviner is a commendable and ambitious effort willing to discuss major issues. The project, despite Crowe’s bloated aura, is suitably subtle and touching at opportune moments. However, compared to Peter Weir’s war classic Gallipoli, this drama is our film industry’s latest great misfire. His hubris crushes this modest and heartfelt ode to the past and present Australia. Pandering to the ANZAC spirit, the movie’s shoddy production design and lack of focus resembles Crowe’s character: well-meaning yet lost. Verdict: An ambitious yet messy war-drama.